After the sad result of the UN summit for the environment is good to remember what happened 5 years ago on the December 26th , 2004, when earth continuing warning us that there is something wrong with a tsunami caused by an earthquake under the Indian Ocean killed over 10,000 people in southern Asia, with many more feared dead. 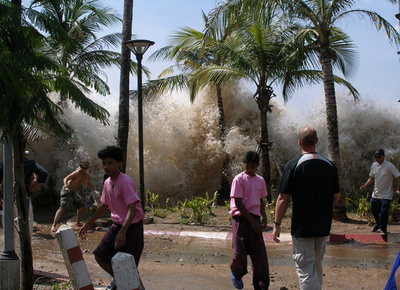 The tsunami in the Indian Ocean travelled at high speed and slammed into coastal areas with little or no warning. Officials in Indonesia, Sri Lanka and India have all reported death tolls in the thousands and the figures are expected to rise sharply over the next few days. Over the next 7 days the death toll rose to more than 216,000 people in 13 countries. At least 128,000 people died in Indonesia alone. This made it one of the worst natural disasters in modern times. The 2004 Indian Ocean earthquake was an undersea megathrust earthquake that occurred at 00:58:53 UTC on December 26, 2004, with an epicentre off the west coast of Sumatra, Indonesia. 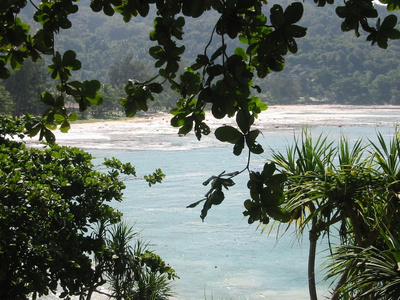 The quake itself is known by the scientific community as the Sumatra-Andaman earthquake. 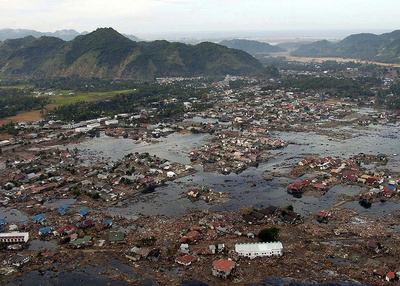 The resulting tsunami itself is given various names, including the 2004 Indian Ocean tsunami, Asian Tsunami, Indonesian Tsunami. The most common of these names being The Boxing Day Tsunami. The earthquake was caused by subduction and triggered a series of devastating tsunami along the coasts of most landmasses bordering the Indian Ocean, killing nearly 230,000 people in eleven countries, and inundating coastal communities with waves up to 30 meters (100 feet) high. It was one of the deadliest natural disasters in recorded history. Indonesia, Sri Lanka, India, and Thailand were the hardest hit. With a magnitude of between 9.1 and 9.3, it is the second largest earthquake ever recorded on a seismograph. This earthquake had the longest duration of faulting ever observed, between 8.3 and 10 minutes. It caused the entire planet to vibrate as much as 1 cm (0.4 inches) and triggered other earthquakes as far away as Alaska. The plight of the many affected people and countries prompted a widespread humanitarian response. In all, the worldwide community donated more than $7 billion (2004 U.S. dollars) in humanitarian aid. Numerous aftershocks were reported off the Andaman Islands, the Nicobar Islands and the region of the original epicentre in the hours and days that followed. The largest aftershock, which originated off the coast of the Sumatran island of Nias, registered a magnitude of 8.7, prompting debate among seismologists as to whether it should be classified as an aftershock of the December 2004 quake or as a "triggered earthquake" (which typically differs from an aftershock in that it is not located along the same fault line and may be as l arge or larger than the earthquake which triggered it). This earthquake was so large that it produced its own aftershocks (some registering a magnitude of as great as 6.1) and presently ranks as the 7th largest earthquake on record since 1900. Other aftershocks of up to magnitude 6.6 continued to shake the region daily for up to three or four months. As well as continuing aftershocks, the energy released by the original earthquake continued to make its presence felt well after the event. A week after the earthquake, its reverberations could still be measured, providing valuable scientific data about the Earth's interior.